US Psychiatric & Mental Health Congress Acquired by NACCME - Berkery, Noyes & Co., LLC. MILLSTONE TOWNSHIP, N.J., March 30, 2012 /PRNewswire/ — North American Center for Continuing Medical Education (NACCME, LLC; www.naccme.com) announced today that it has acquired CME LLC, which operates the US Psychiatric & Mental Health Congress. 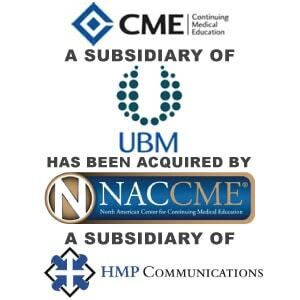 NACCME is a wholly owned subsidiary of HMP Communications Holdings, LLC (www.hmpcommunicationsholdings.com) and an industry leader in continuing medical education. Terms were not disclosed. More than 2,000 physicians, nurses, and others earn as many as 30 credits toward their CME requirements each year at the US Psychiatric & Mental Health Congress. This year’s event, November 8-11, 2012, in San Diego, CA, marks the 25th anniversary for the congress. CME LLC will remain under the direction of Ann Marie DeMatteo, CME LLC president, who joins NACCME as senior VP of educational services, maintaining her leadership role with the US Psychiatric & Mental Health Congress and CME LLC’s other programming in mental health, pain, oncology and more. This is the second acquisition for HMP Communications Holdings from UBM Medica. In 2011, HMP Communications, LLC, a separate whole owned subsidiary, acquired Consultant and Consultant for Pediatricians. 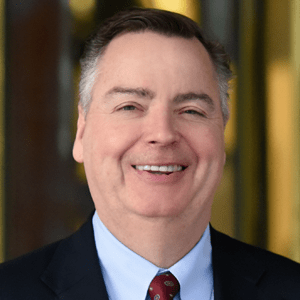 Tom O’Connor of Berkery Noyes represented the seller on both transactions. North American Center for Continuing Medical Education, LLC (www.naccme.com), an HMP Communications Holdings Company, provides the highest quality CME/CE across medical disciplines and therapeutic areas. In conjunction with top faculty, NACCME develops evidence-based initiatives that target specific educational needs, assisting medical professionals in improving patient outcomes by bridging the gap between current and best healthcare practices. NACCME’s multidisciplinary CME/CE initiatives include the Symposium on Advanced Wound Care®, Pharmacy Learning Network®, Managed Care Learning Network®, the Coalition of Rheumatology Educators®, Cardiovascular Learning Network®, Cystic Fibrosis Learning Center®, and the Primary Care Cardiometabolic Risk Summit™.